Science Channel | My "Marketing Nirvana"
We live in a digital connected world and it’s no wonder we can travel to space via social media. As Amy-Mae Elliot of Mashable Tech points out, there are a variety of ways to explore space online, from space agencies (NASA for one), observatories (like the Hubble Telescope), numerous Facebook and Twitter accounts (like the Curiosity Mars Rover and the International Space Station), videos (Science Channel on YouTube for another), to astronomical apps (like NASA’s for iPhone). Social media provides a way for space enthusiasts to connect, notes NASA’s Veronica McGregor. This is not the first time NASA has employed social media to highlight a space mission. As she reported to Dorrine Mendoza of CNN, the Phoenix Mars Lander’s Twitter account was the fifth most followed in 2008. Interest in space abounds; the Mars Curiosity’s landing tweet at 1:32 am EST on August 6th was retweeted 70,000 times around the world. Moreover, Linda Holmes of NPR observes Curiosity on Twitter has found its voice, the right mix of science and engagement. After all, the sky’s the limit for space exploration, and we owe a debt of gratitude to the pioneers of space who make it all possible. 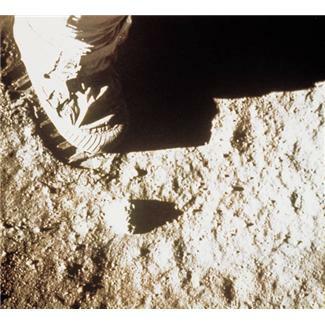 Recently we lost one of the greats Neil Armstrong, the first man to walk on the moon. Twitterers can post comments and photos using the hashtag #WinkAtTheMoon to honor the acclaimed astronaut of the Gemini and Apollo space missions. We look forward to the launch of the Webb Telescope and all future giant leaps of space. So, how do you follow your curiosity about space? What’s your favorite extraterrestrial pursuit? Share your thoughts on exploring space with social media.